Merrie Haskell grew up half in North Carolina, half in Michigan. She wrote her first story at age seven, and she walked dogs after school to save for her first typewriter. She attended the University of Michigan, where she graduated from the Residential College with a degree in biological anthropology. She works in a library with over 7.5 million volumes. 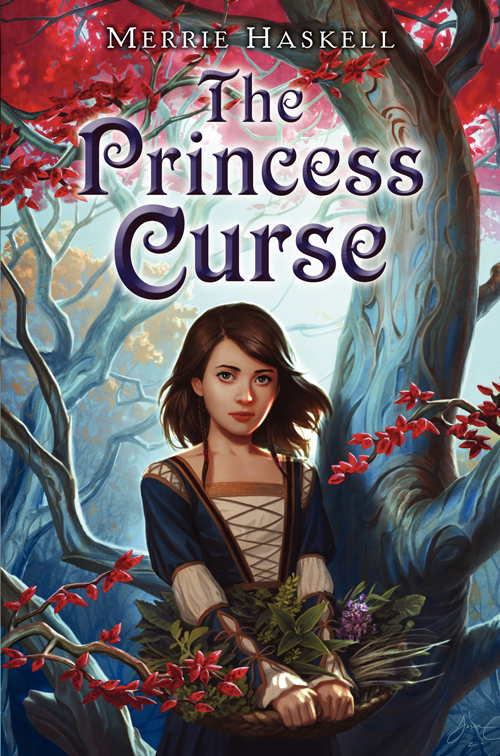 Her first book, the Middle Grade historical fantasy The Princess Curse, was a Junior Library Guild selection. 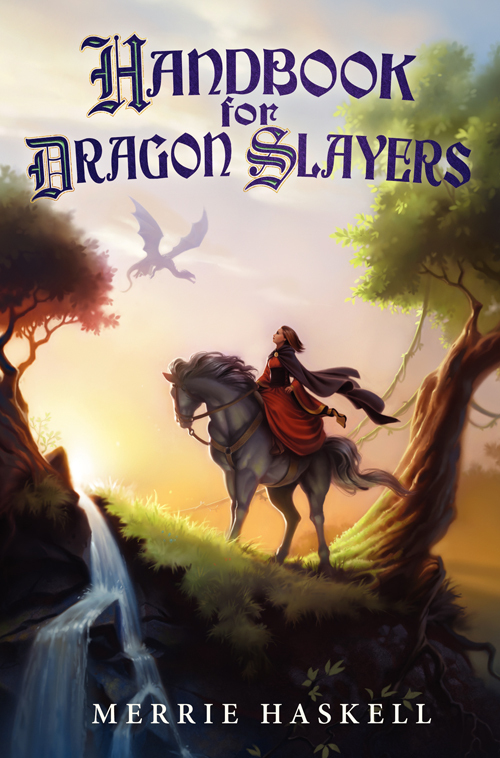 Her second book is Handbook for Dragon Slayers. Her short fiction appears in Nature, Asimov’s, and various anthologies. 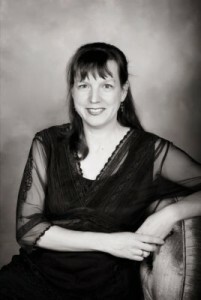 Merrie lives in Saline, Michigan. 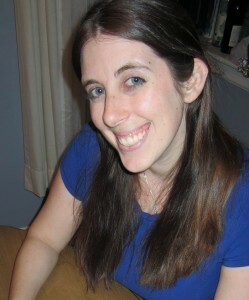 Follow Merrie on her website and at HarperCollins. Let’s see how Merrie answers the Proust Questionnaire! So many things, really, so I’ll try to evoke it. One night in college, when I was living in an old apartment with my friends, I awoke to find my radiator shooting a huge fountain of steam into the air. Rather than do something about the steam shooting everywhere (potentially all over my stuff), and because I was sleep-stupid and groggy, my reaction was to just open a window and go back to sleep. It was a Michigan winter, so of course it was snowing, and snowflakes were drifting in the window over my bed–and I was perfectly warm. That juxtaposition of hot/cold, of being cozy in a bed while there’s weather both at bay and yet so close you can touch it, makes me profoundly happy. It’s like something out of a fairy tale, having snow blow over your bed and for you not to mind it. I can think of half a dozen other times when there’s been such mild but visually exciting drama and I’ve always felt so alive during it. Once at the library (I have a day job), we had a similar heating mishap–it was about 90 degrees in our office for three days, and we had our three tiny windows wide open to blustery November weather to catch any cold air we could, and all these brown, withered leaves kept blowing in onto our computers. Again, the fairy tale quality of the moment is what both amazed and amused me. I’m happy other times. I’m happy when I’m with my friends and loved ones. I’m happy when I’m learning. I’m happy when I’m dealing with thorny but solvable problems. But I’m happiest when my writer brain is going. And those few moments when it seems like magic is close–when it is so easy to imagine a bed of snow or a row of desks swathed in leaves–is like a little gift from the universe where I’m allowed to see what I usually would have to imagine. To judge by the count on my playlist (120 plays), “Dog Days are Over” by Florence + The Machine is my favorite. I first heard it on Armed Forces Radio on Thanksgiving in 2010 in Germany while driving myself from Bingen, where I had been researching Handbook for Dragon Slayers, to Munich, where I was to fly out to Romania. I think the horses in the song made it into the book–and I’m not even kidding. I wish I had more musical ability. Or ANY musical ability. When people ask me what I do for a living. I usually don’t tell them about both of my careers, and I usually omit the writing one because it’s easier to talk about the library than deal with overturning people’s perceptions of what a writer does. I’m getting a little sleepy, but I’m excited. It’s 11:04 PM as I write this; in 12 hours exactly, I’ll be 38 years old. In any single work of fiction, I have to go through and remove about every other instance of the word “back.” Turned back, looked back, back, back, back. Then I have to through and stop with all the glancing. In every day conversation, I pick up other people’s verbal tics (favorite words, favorite tones, silly noises, accents) like crazy and have to wait for them to pass through my system. I’m terrified people will think I’m making fun of them, when in fact I’m just highly suggestible. HIGHLY. In 1997, I got a big raise at work and found cheap plane tickets to England in pretty much the same week. I was having lunch with some friends, and one of the people I knew much less well than the others and I arrived early. She asked how I was. I said, “I got a raise and I found cheap plane tickets to England. Do you want to go to England with me?” And she said, “Yes.” We had two bookbags–not hiking backpacks, but literally school-type backpacks–and $300 airplane tickets and I think a week’s paycheck each, and we just, well, went to England. We had two guide books–some sort of budget guide and a Guide to Stone Circles. We climbed Glastonbury Tor, walked Avebury stone circle, and visited Stonehenge. It was our first trip to Europe. We have been best friends ever since. Since it’s spring, and I’m a spring-born sap, right now I love all times of day. I love being up at dawn and smelling a fresh morning; I love long stabbing rays of light in the hours just after sunrise and just before sunset; I love noon; I love sunset and dusk and the first poking-through of the stars. Ask me again in the winter, and I’ll tell you the only acceptable time of day is never. I’ve already achieved it. My goal all along was to write books that spoke to someone. Just one or two someones. I feel I’ve achieved that and then some. Every time I get on a plane, I rather fatalistically think about where my most recent book is in production and think, “Yes, that will go on fine without me (or not), and I’ll have 3 books for people to remember me by (or 2, or whatever).” The fatalistic internal voice at this point is a little travel ritual; I sometimes feel if she doesn’t pipe up, I really *will* die. In any case, the more books I can write and have that moment of speaking to someone, the happier I’ll be when the time comes, but honestly–I did have a period of crisis after I got my first few fan letters and I thought, “Well, shouldn’t I have a dream beyond this one?” I’m not sure I should, though; it’s okay to be happy doing and not always chasing, right? I’m afraid I’m a terrible cliche. 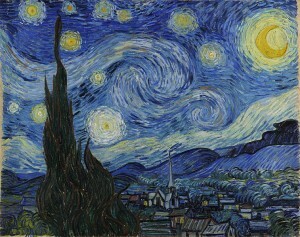 I love Van Gogh’s Starry Night best. I have pretty much since I first saw it in kindergarten and it was explained to me that it was Van Gogh’s way of interpreting the distant points of light in the night sky as the glowy balls of gas that he knew they truly were. I think that moment sealed my love of astronomy and my love of that painting in the same moment. In retrospect, my kindergarten teacher was pretty brilliant, because I remember almost all of her art history lessons (though she never called them art history lessons). My first love was reading. I dreamed something last night; I remembered it this morning at work. It is gone now–I just have a memory of remembering it. So frustrating. I also can’t think of the last thing I dreamed before that–I seem to be going through one of those phases where I don’t remember my dreams. I remember fewer dreams when I am writing intensively; I usually wake to discover I’m thinking about plot problems. When a gust of wind whistles low through a window screen, I immediately connect to long summer days in rural Michigan, where I spent my summers–reading silently with my grandmother, napping on my cousin’s bed… It’s the sound of being in quiet, dark houses during the afternoon lull in activities, surrounded by windows that overlook hay-fields and somehow fail to let in the blindingly bright summer light. It’s the moment of rest after clearing the lunch dishes and before going for a swim or heading back into the garden to glean raspberries or pick potato bugs. 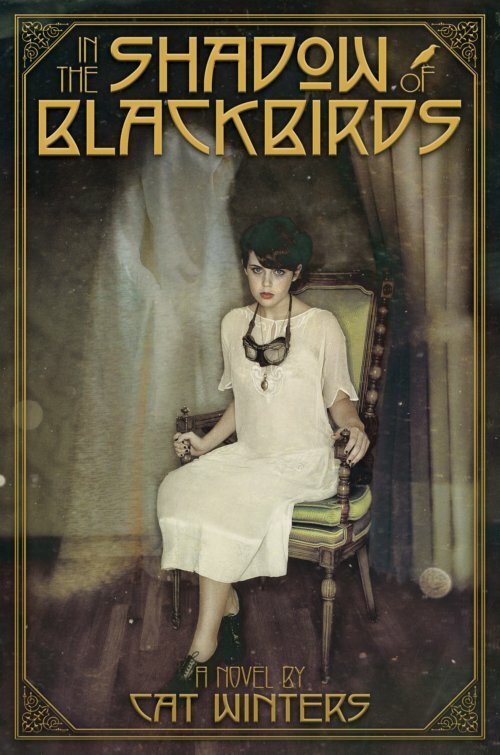 Cat Winters‘s critically acclaimed debut novel, IN THE SHADOW OF BLACKBIRDS (Amulet Books, April 2013), is the story of a sixteen-year-old girl who faces WWI, the deadly Spanish influenza, and a ghost. Her second novel, THE CURE FOR DREAMING, is coming Fall 2014 (Amulet Books). 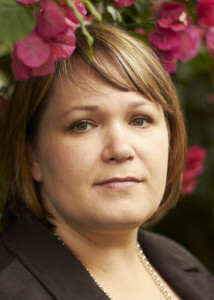 She has lived most of her life in Southern California but now makes her home in Portland, Oregon. Follow Cat on her website. Let’s see how Cat answers the Proust Questionnaire! The warm and soul-lifting experience of family holidays, whether it’s a summer trip to the ocean or a cozy Christmas morning with the smell of pancakes in the air. Slightly stressed about deadlines and an upcoming promotional trip for IN THE SHADOW OF BLACKBIRDS. Everything’s going to be all right. (Which is what I’m currently telling myself in my current state of mind). Motherhood. It’s changed my entire way of looking at the world and myself. Noon. Lunchtime is my favorite meal, and I’m most productive directly afterward. Scout Finch. She’s too young for coffee, but I’d love to buy her a hot chocolate and chat with her about Boo and Atticus and her life in general. Singing. I love belting out songs, but I know I’m not always good at it. “The Tide Is High” by Blondie. I first heard it as a kid, because my dad owned every single Blondie album. The song always reminds me of childhood summer days growing up in Southern California. Every time I sit down in a car to drive or prepare to do something in the house, I have a habit of sighing and saying, “All right,” as if I’m planning my next big move. I’m not sure why. I guess my multitasking brain needs to sort out what I’m doing next. I need to see my kids grow up to be happy and healthy adults. Adam, my college boyfriend and husband of almost twenty years. 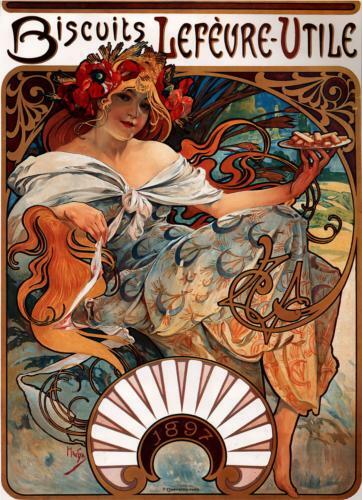 Anything by Alphonse Mucha. I could wallpaper my entire house with his work. Music. Like I mentioned with “The Tide Is High,” any time I hear a song that carries me back to a powerful memory, especially a joyful early memory, I get emotional. It’s like stepping into a time machine that takes me back to a simpler moment.